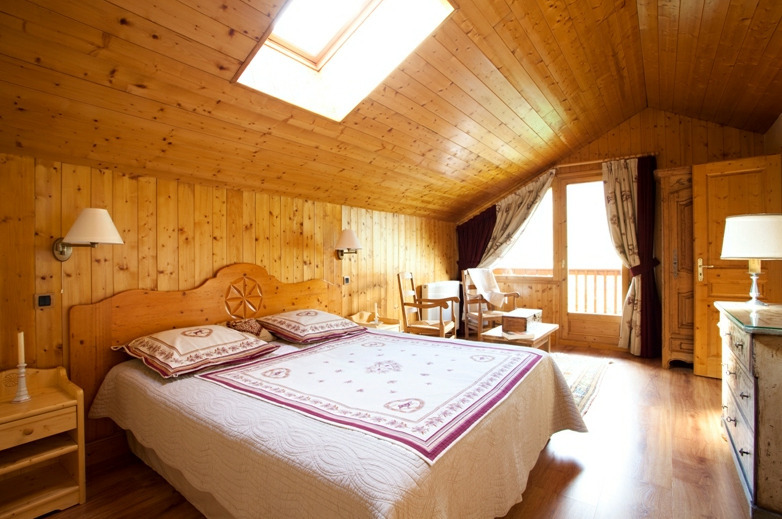 Chalet Serpolet has a stylishly decorated open plan living area with beautiful soft furnishing. There are luxurious leather sofas and an open stone fireplace and a fabulous dining table. 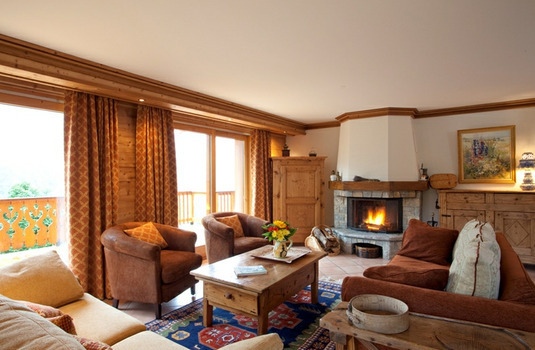 The French windows on one side of the living area open on to a South facing balcony, an ideal place to watch the sun disappearing behind the Meribel Valley mountains. 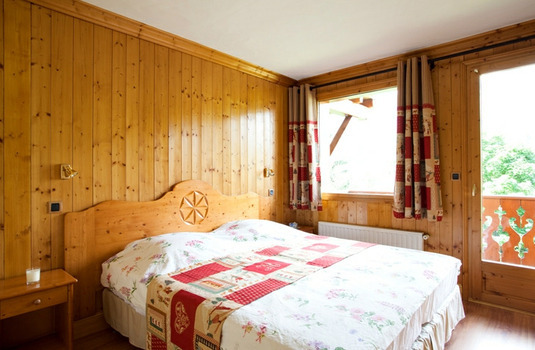 All the newly decorated and furnished bedrooms offer en-suite facilities, four with bath and one with a shower. 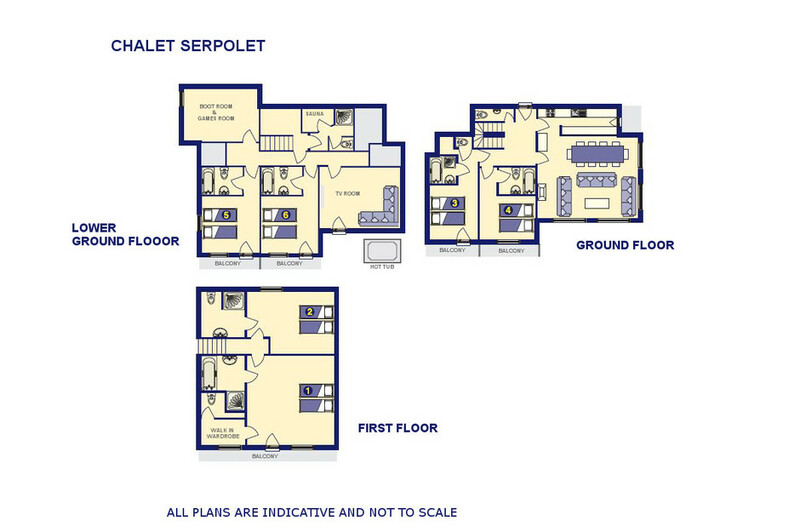 The large main bedroom has a walk-in dressing room, while another of the bedroom has a Jacuzzi spa bath. 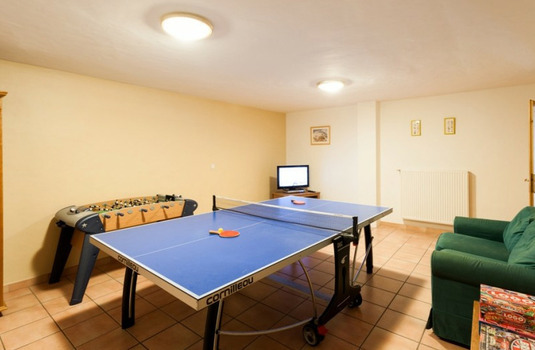 The chalet also has a sauna, games rooms with table tennis and TV with cinema sound system. You can relax at the end of the day in the newly installed outdoor hot-tub. 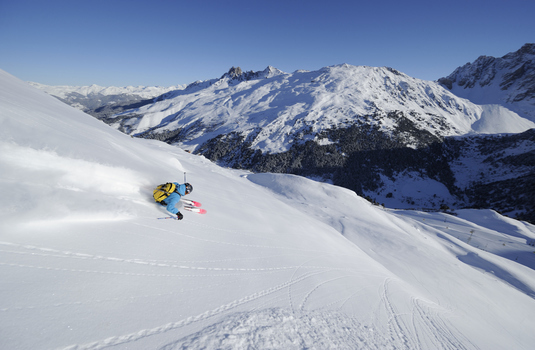 Our mini-bus service takes you to and from the lifts at the beginning and end of each day. 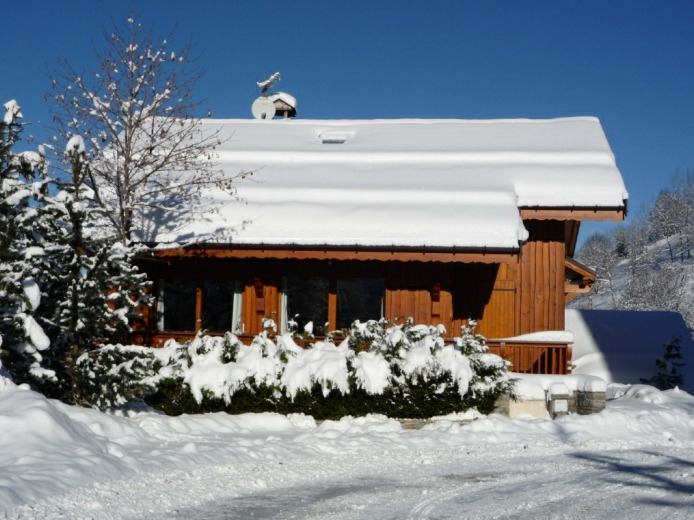 Located in the Meribel resort, France, the Chalet Serpolet sits just 1km from the piste with a minibus service provided to take you to and from the hotel each morning and evening. 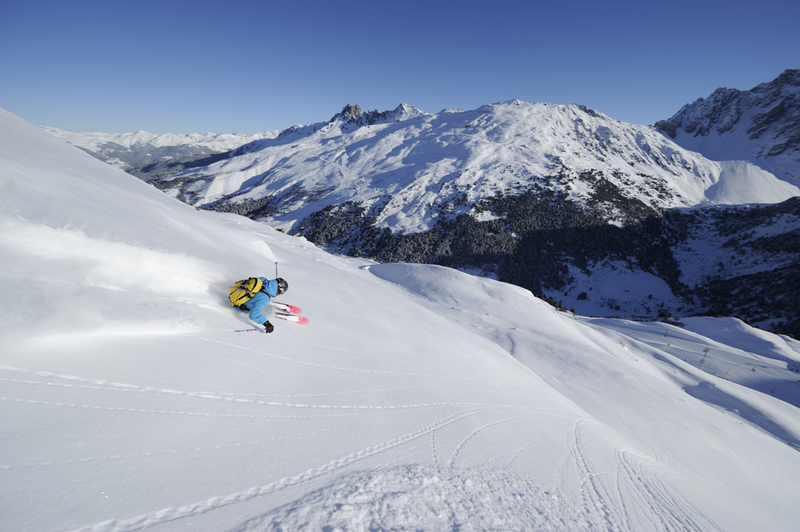 This allows skiers to maximise their time on the slopes rather than spend hours travelling each day. The local town is just 5 minutes away from the chalet which offers guests the opportunity to experience the local shops, bars and restaurants throughout your stay. 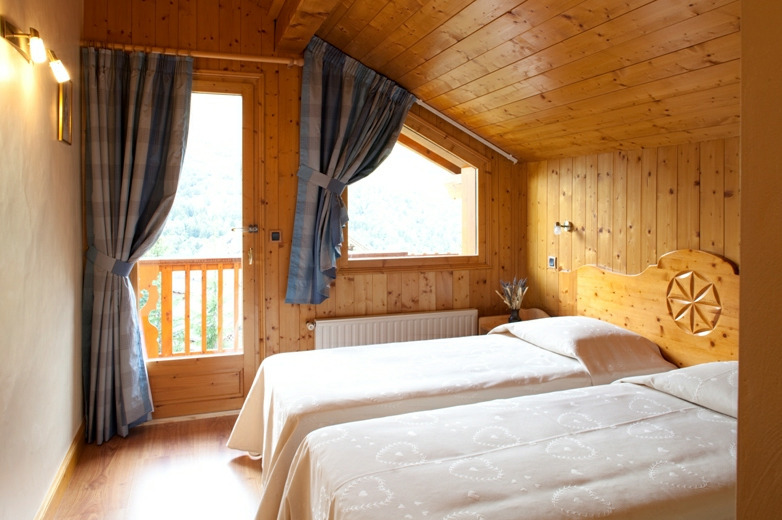 This also makes access to the local nightlife convenient so you are able to enjoy your holiday off the slopes through the evening. Meals are made from local produce starting with a choice of cooked breakfast, porridge, cereals or fresh bread. 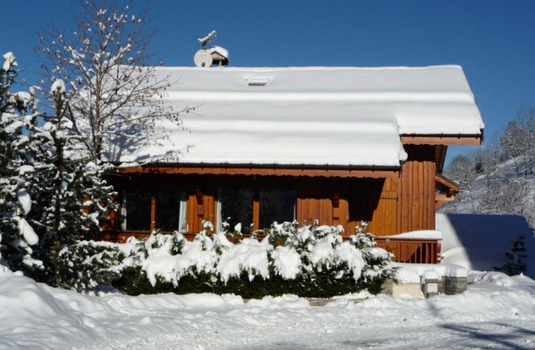 Afternoon tea is served in your chalet with a selection of bread, preserves, cakes and hot drinks. Canapes are served shortly before a three-course meal, four French wines and a cheese board of the locally selected cheeses for the week. 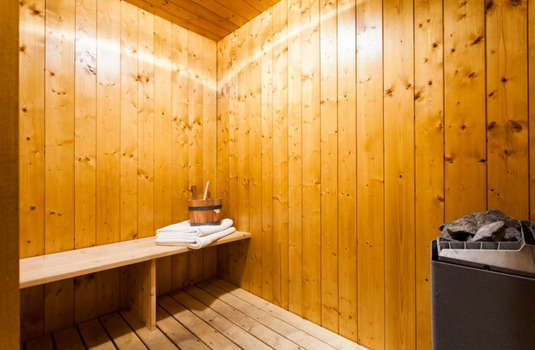 This is followed by chocolates and coffee. Children's meals are also available with new daily menus featuring make your own pizzas, homemade chicken strips and spaghetti bolognese. Room 1 - Double bedroom with a seperate dressing room en suite bath and walk in shower, basin and WC.